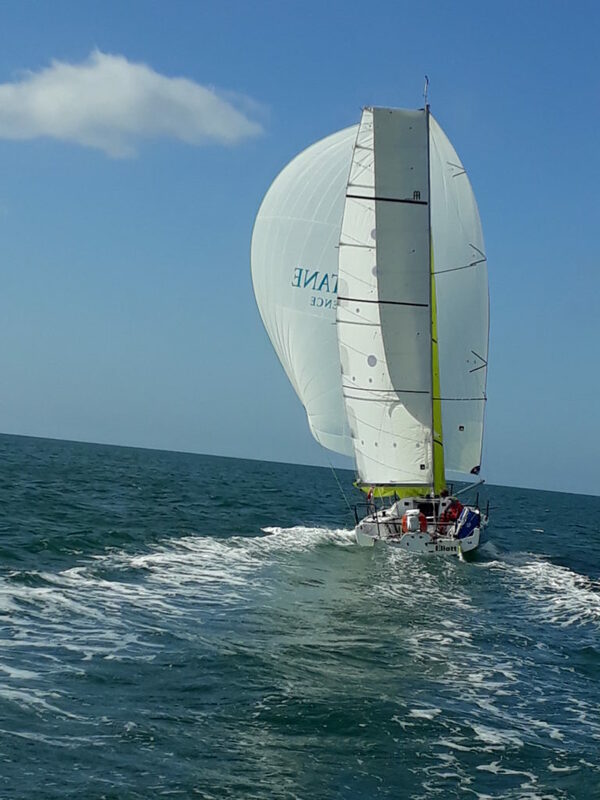 First quarter 2019 : Add-Modules Technologies equipts the Amelie Grassi’s Mini-Transat to make intensive trials in the Lorient Grand Large sessions coached by Tanguy Leglatin. 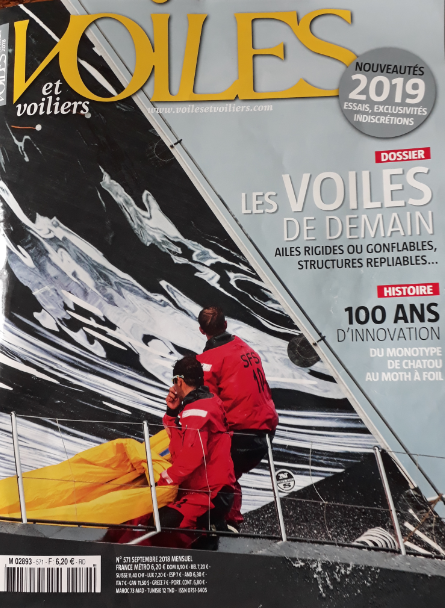 Autumn 2018 : Add-Modules Technologies joins the Pôle Mer Bretagne Atlantique and the IWSA to meet its objective of sails as auxiliary propulsion systems in the maritime industry. June 2017 : Add-Modules at the French Pavilion Nor-Shipping 2017 in Oslo. International event in the naval industry. 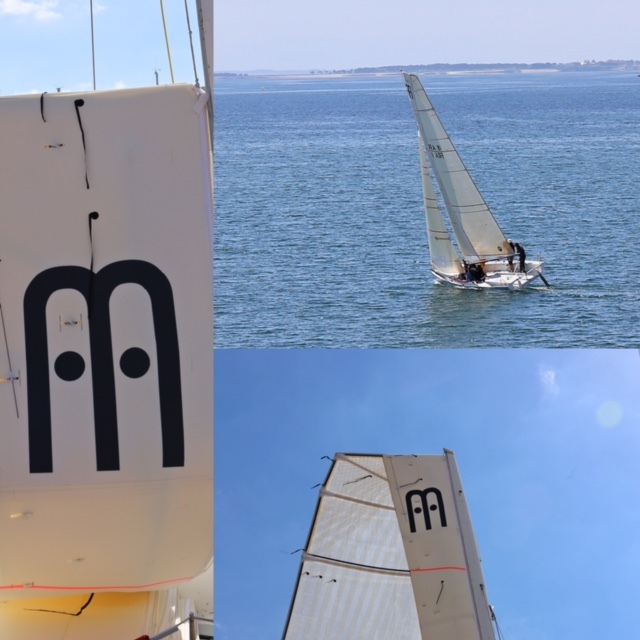 March 2017 : The Soft Wing Add-Modules – Technique Voile on Open 750: furled on the boom hoisted and inflated. 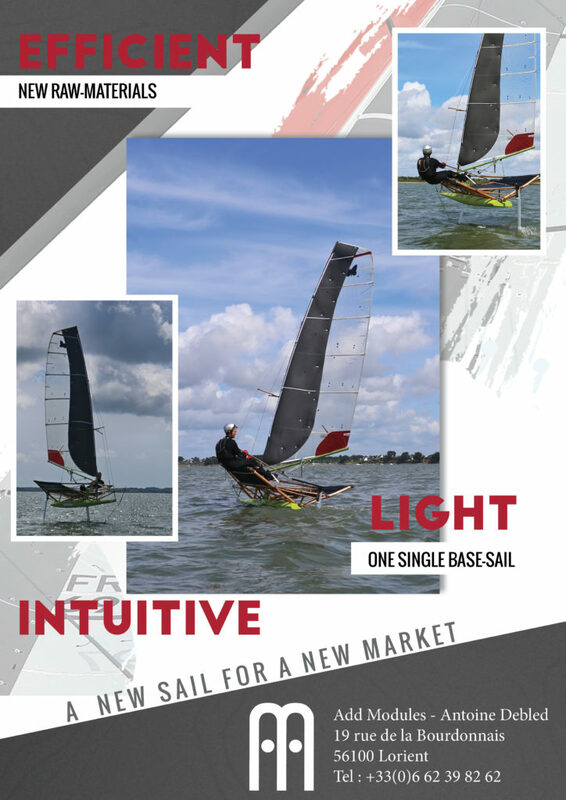 Add-Modules semi-rigid wing sails to go with the new practice of sailing which goes faster and flies on foils ! 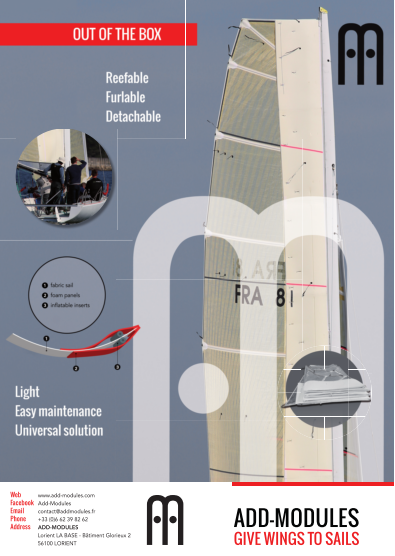 The Add-Modules system is a 3D system which uses a fabric sail as a support. 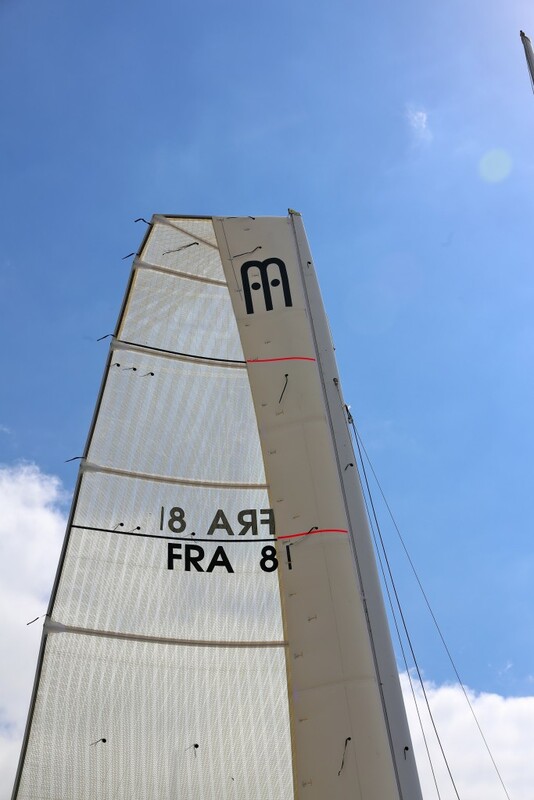 The wing is designed by your sail-designer : a fabric sail and modules applied on each side of the sail. 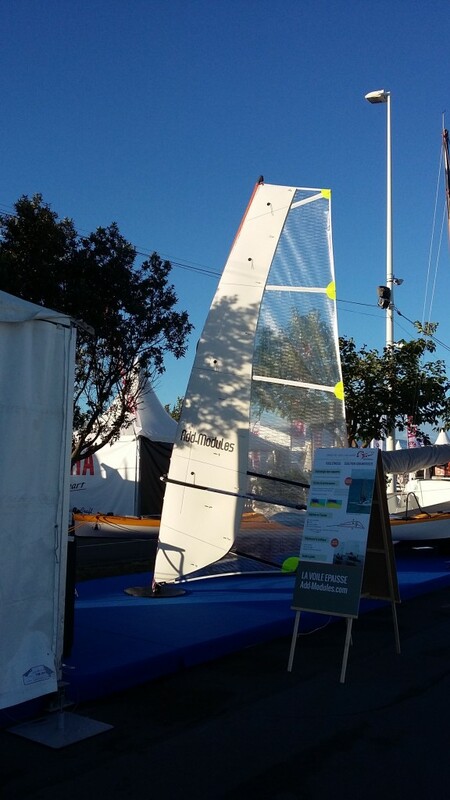 Sailor on the circut Mini-Transat since 1998, Antoine Debled started to work on semi-rigid wing sails in 2006. 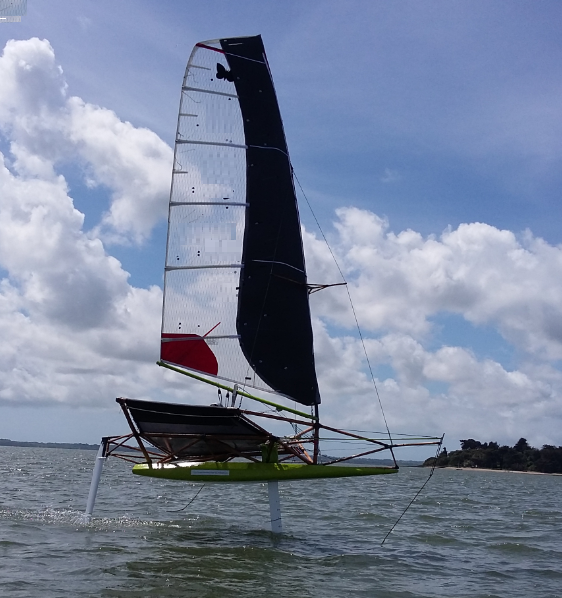 He then tries out a solution based on a 2D concept: 2 sails are hoisted and spread apart; the whole is considered as thick. 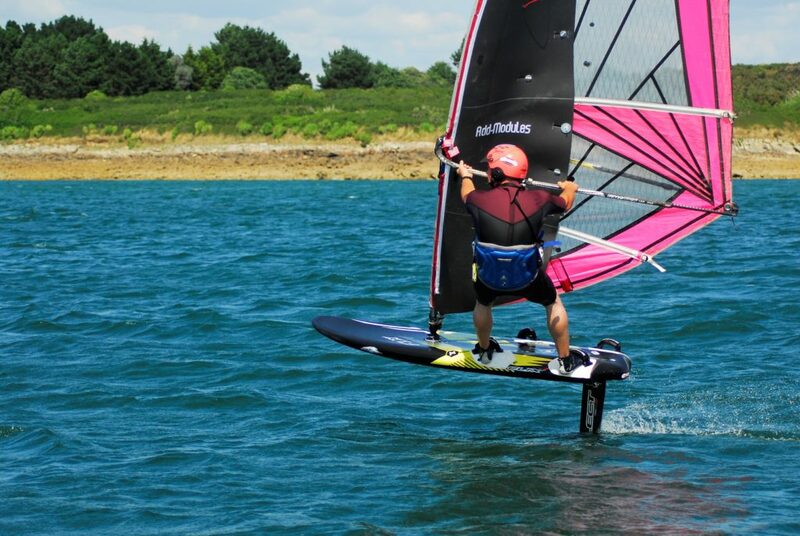 Antoine Debled sails with this solution in 2007 and races 2500 miles but considers that, even if he feels great sensations, the system cannot afford medium to strong wind conditions. 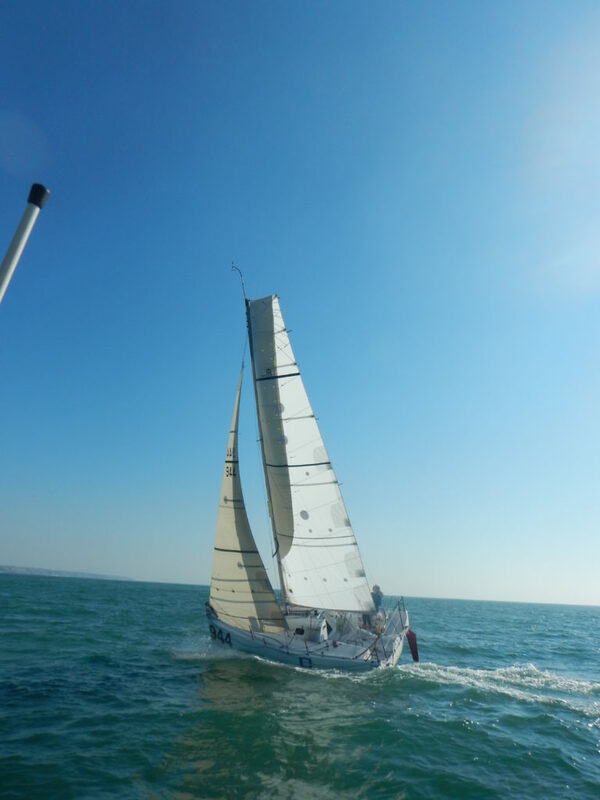 In 2009 he reluctantly uses a flexible classic sail on the Mini Transat La Rochelle – Salvador de Bahia. 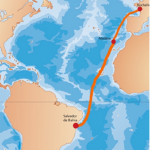 It is between the Cape Verde Islands and Brazil, where the sailors are isolated, that he find the inspiration which will give birth to the current Add-Modules system : The easiest is to equip a fabric sail to obtain a wing. 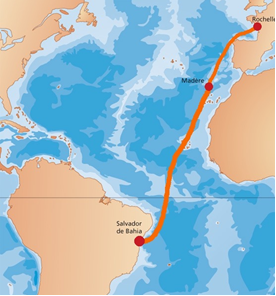 Since 2010, Antoine Debled has been testing this solution which he considers now achieved and in phase of pre-production. This system is protected by two patents.